After a 2-year break, The Defense is back. This season has had already 2 Qualifier phases that ended up with 4 qualified teams. The finalists are: Alliance, Team Liquid, OG and Team Alternate. They will face each other at the LAN finals in Berlin, Germany for a $77,000+ prize pool. Location: Freaks 4U Gaming offices in Berlin, Germany. Here you can find the betting odds for the Finals of “The Defense 2015” by pinnacle esports. 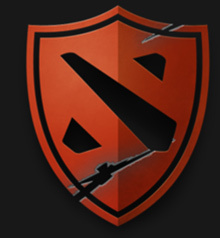 For more information about betting on Dota 2 take a look at our Dota 2 betting and odds subsite. Although they managed to qualify, Alliance are on a really bad streak. It started in the Fall Major and followed them through Dreamleague and Starladder. This is why they just got rid of their 4/5th position player: Nuts. They are having a rough time right now and they haven’t set their new roster yet. There’s not much we can say about them right now, as they will need to find a new player before The Defense Finals. Going to a tournament final just after getting a new player can throw any kind of result for this team. Liquid are another team having a rough time, but they’re at least more stable. Even though the team is composed by some experienced players, they’re being shadowed by other more successful European teams like Secret, OG and VP. This is just a consequence of having to play in probably the toughest Dota 2 region right now. This time they have an opportunity to finish in the top 2 places; they might only face problems against OG. There are still good odds of them winning this tournament. Team Alternate are the underdogs coming to these finals. There’s not much more to say about them other than they’re Polish. They’ve only participated in amateur tournaments until now. They managed to win games against Virtus Pro and Team Empire during Stage 2, which was quite surprising. In the end, they didn’t qualify for these finals, but since Vegas and 4 Clovers & Lepricon won’t make it to Germany, they were invited to participate in the finals. We’ll see if they can surprise us again during the LAN event. Finally, OG are the favorite team to win this tournament. They had an amazing run during the Fall Major; they managed to win the tournament despite having to start from the lower bracket. They won against EG and Secret on the same day and took home $1,110,000. Although they lost some games against weaker teams after the Major (1-2 against Navi and VP), they are still the favorite team to win these finals.